Disclaimer -- You do not need to be a 'good' painter to post tips here, if you have found something that helps you get things done easier regardless of your perceived skill level please post it. Since we have some accomplished Painters/Models in our group. And since we have quite a few people who are seemingly getting started with the hobby I figured a topic that could combine our shared knowledge on how to get things done easily will looking decent might be helpful (looking at you Mark, Steve and John) So feel free to post anything that would help a new modeler/painter get things done easier. I'll start with 'under-painting' This is something I do with most of my models. You can use this automatic highlighting to accomplish a couple of things. 1. 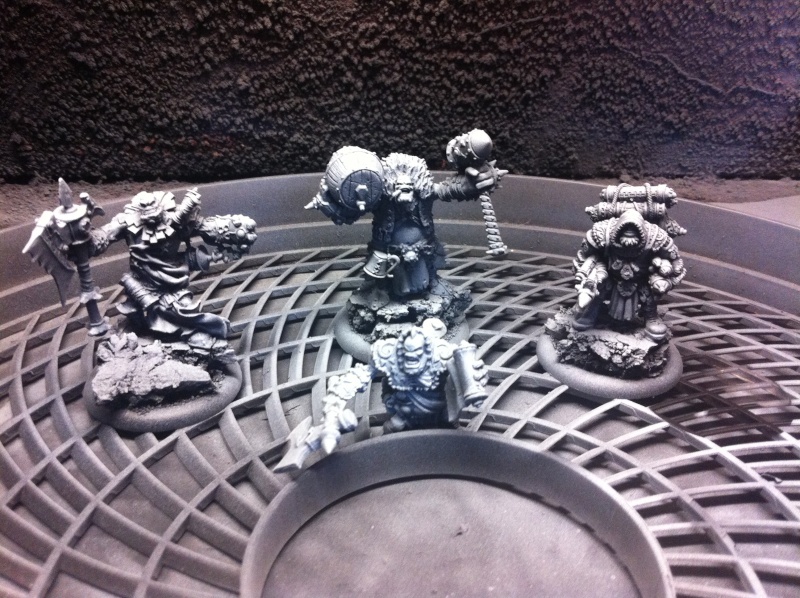 Take a picture of the models once primed, and you can use it as a guide on where light would naturally fall on the model to assist you in highlighting. 2. if you thin your paints to wash consistency and then apply the color to the already highlighted areas this can really save you some time with highlighting as it will already be done.